Josh is a Vancouver lawyer with a practice focused on not-for-profit and estate law. The founder of Versus Law Corporation, he strives to live up to the English and Latin meanings of the word versus: both toward and against – defining and seeking client goals, while defeating, avoiding, or leveraging the obstacles along the way. Josh has appeared in British Columbia Provincial Court, British Columbia Supreme Court and the Federal Court of Appeal. A past President of AthletesCAN, Canada’s association of national team athletes, and a past director of the Canadian Paralympic Committee, Josh won bronze at the London 2012 Summer Paralympic Games in doubles boccia. 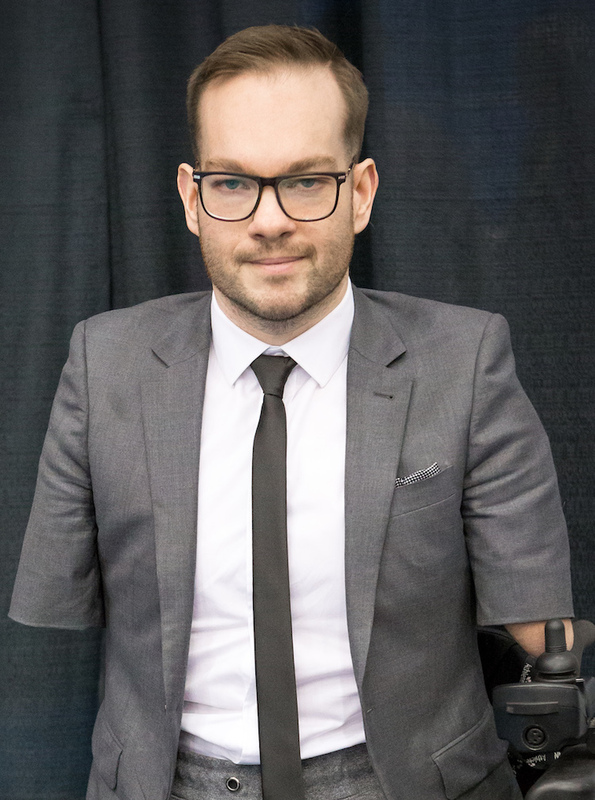 He successfully helped build, and extend the funding of, the Equipment and Assistive Technology Initiative (EATI) in British Columbia and is a member of the British Columbia Minister of Social Development and Social Innovation’s Council on Employment & Accessibility. An electric wheelchair user born without much of his arms and legs, he has more experience than most in identifying individual and collective issues, and knowing when to engage each. Josh’s leadership, legal, and life experience lead him to better understand the goals of his clients, and find creative paths to success. University of British Columbia, J.D.